Lawyers with an unparalleled track record of successfully defending those charged with Probation Violation in the 52-3 District Court in Rochester Hills. If you are accused of violation of probation, you need the best possible legal representation to avoid jail time. A person placed on probation is ordered to comply with various terms and conditions of probation. Probation conditions in Rochester Hills typically include drug and alcohol testing, community service, education, therapy, reporting to a probation officer and more. A probation violation can be anything from a technical violation of one condition to a violation of many conditions all at once. In many courts, a technical violation may not be cause for alarm but in this court, the judges frequently give jail time for seemingly insignificant and minor violations. It is best to avoid a probation violation if at all possible. You should take time to thoroughly review your Order of Probation with your lawyer and the probation department immediately following sentencing. Take careful notes and use a system to self-monitor your compliance. It is usually best to make sure any appointments and deadlines are carefully tracked on a calendar. If you have questions, make sure you ask them! Do not assume anything or guess as to how to comply with probation. Make sure you keep careful and tedious notes of everything you do, who you talk to, and when you complete your probation requirements. Always ask for the names of everyone you talk with when complying with a probation condition or asking a question. Keeping good records may help in your defense if ever needed. Be polite, honest and well documented. Probation officers are frequently treated disrespectfully and lied to by defendants and unfortunately, they often assume someone is not being forthright. Try not to take any offense with a probation officer that seems disrespectful or rude and try to remember that respect is earned. Keep careful notes and always provide documentation of anything you want to the probation officer to know about you. They will generally not accept a person’s word and will require proof. If you are consistently honest and well documented, you will find that your treatment will improve quickly. If you are accused of violation of probation, your first step is to hire an experienced lawyer without delay. Many people make the mistake of waiting for paperwork or official charges. Steps can be taken immediately to mitigate any damage and preserve or collect information that may be helpful in avoiding jail or other penalties. If you are innocent of probation violation, your defense attorney will want to build your defense at once. If you did violate probation, an experienced attorney will know how to put you in the best possible position to avoid jail, additional probation, fines, increased testing, and more. The maximum jail sentence for violation of probation is the same as the maximum jail sentence for the original offense. For example, OWI, retail fraud, and domestic violence carry a 93-day maximum sentence. Possession of marijuana, aggravated assault, and second degree retail fraud have a maximum one-year jail sentence. 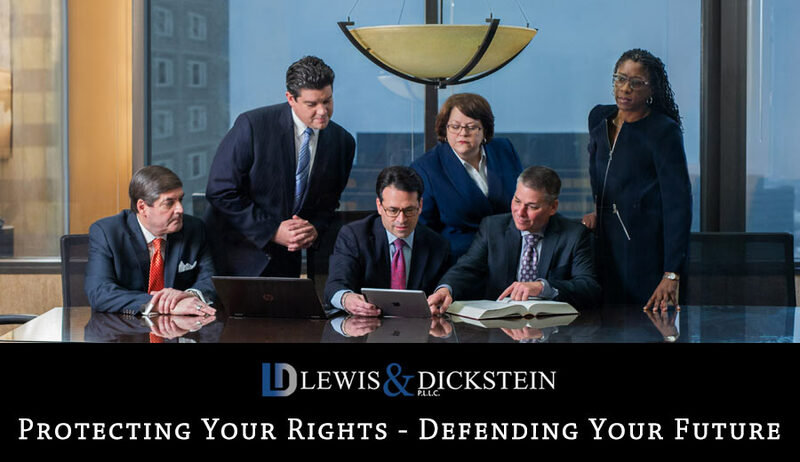 The VOP Defense Team with LEWIS & DICKSTEIN, P.L.L.C. has decades of experience successfully defending those accused of violation of probation in the 52-3 District Court. We are familiar with all of the judges and probation officers and know what needs to be done to give you the strongest defense possible. Call us today for a free consultation at (248) 263-6800 or complete a Request for Assistance Form and an experienced defense lawyer will promptly contact you.